manufactured by BELL ORGAN & PIANO CO LTD. This organ is far above the basic ones you often come accross which have cheap cloth backings and are a small built size in dark wood. This organ is crafted in solid walnut which has been french polished during a recent refurbishment of the case and part internal works. 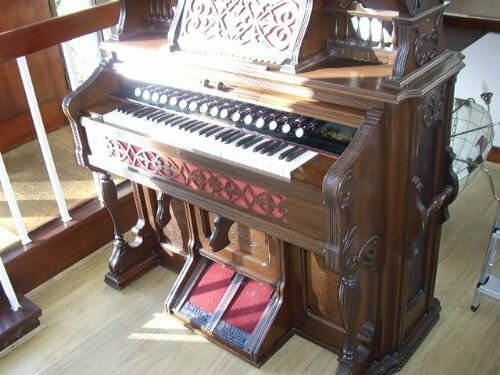 The organ plays with fairly little effort and has had all the felts replaced and carpet style material on the foot pedals renewed also. The organ has a 5 octave range on the keyboard and protective lid which closes over the original ivory keys. 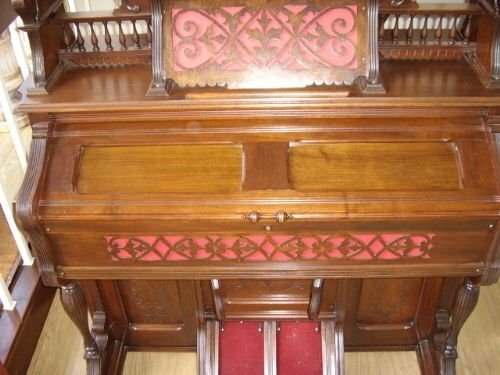 The sound is amazing and loud with remarkable sounding base notes,sounding like a full church or fairground organ.There are castors underneath to help move the organ about as well as solid handles on the ends for lifting if required. 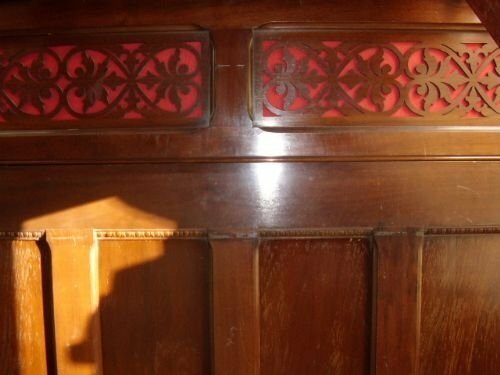 The back of the organ shows a good sign of quality as the rear panelling is in solid polished walnut with fretworked panels. 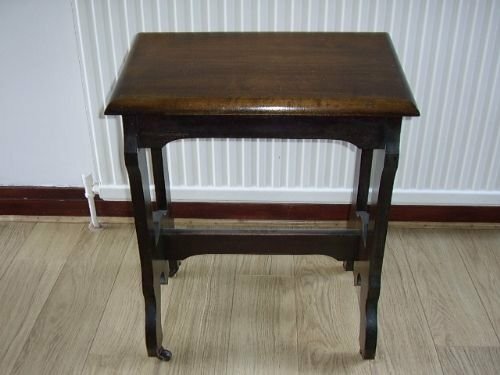 There is a STOOL INCLUDED FREE which has castors on and are rare to find still with the organ today. Measurements are 55 Inches Width and 26 Inches Depth by 53 Inches in Height.The stool is 24 x 12 Inches and sits 24 Inches in Height. 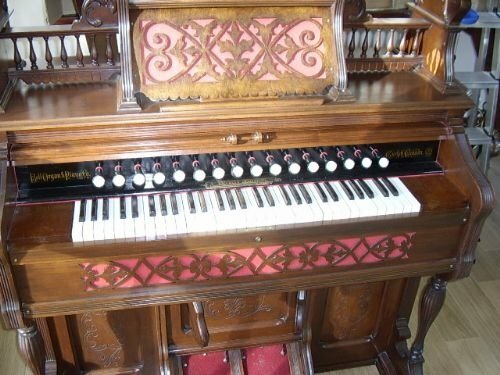 Due to the age of this instrument ,the buyer is recommended to view and play the instrument to fully satisfy themselves as to the playing worthiness and condition,which we feel is excellent despite a few draw bar setting not giving too much change in sound individually.Otherwise a fantastic player which I will demonstrate by playing the Dambusters as well as popular church hymns.